The once no-frills townhome has undergone dramatic makeovers and is finally ready for its close-up. Across the country, builders are rolling out luxury townhomes with increased square footage to emulate the space and feel of single-family detached homes. “There are plenty examples of townhouses being built as luxury homes,” says Robert Dietz, chief economist for the National Association of Home Builders. “You’ve got your four-story townhouses, particularly in high-cost metro areas,” he says. New townhome construction has been on the rise since 2009. Over the last four quarters, ending with the third quarter of 2018, townhouse starts totaled 123,000, 24% higher than the previous four quarters. The current market share of townhouses stands at about 14% of single-family construction, a post-recession high. “I do think that over the next five years that 14% share is going to continue to rise and probably approach 20% over that time period,” says Dietz. Felix Bravo, a sales executive with Pordes Residential in Miami, is selling townhomes at 101 Bay Harbor and Palm Villas in Bay Harbor Islands, where square footage ranges from 2,300 to 3,000 square feet. Prices start at $900,000 at 101 Bay Harbor and $1.2 million at Palm Villas. 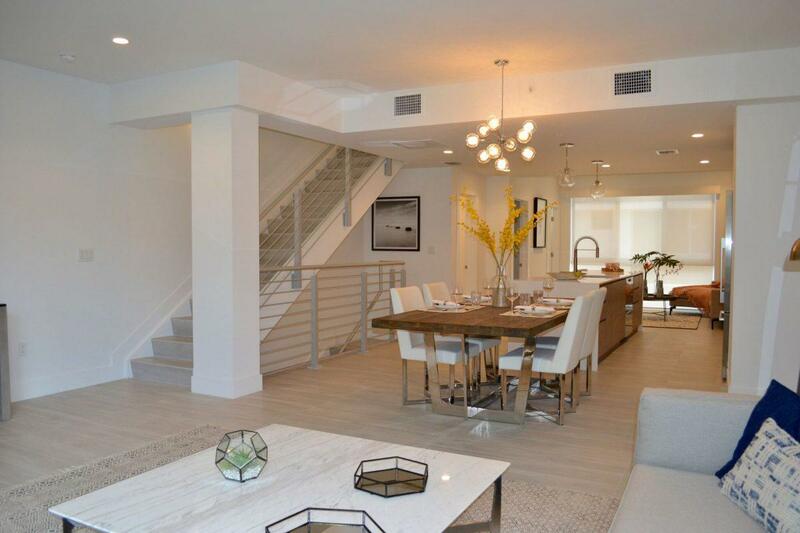 The great room in a townhome at 101 Bay Harbor in Florida’s Bay Harbor Islands community. The open floor plans, high ceilings and amenities at 101 Bay Harbor are a draw for prospective buyers who are planning to settle down and raise families. “We have a ton of young couples in their late 20s to mid-30s who are starting families,” says Bravo. The first level at 101 Bay Harbor units includes a garage, guest bedroom and full bathroom. The second level consists of the kitchen, dining area, living room, walk-in pantry and half bathroom, while three bedrooms and two full bathrooms comprise the third floor. Topping the amenities is a private rooftop terrace with a jacuzzi and outdoor kitchen. 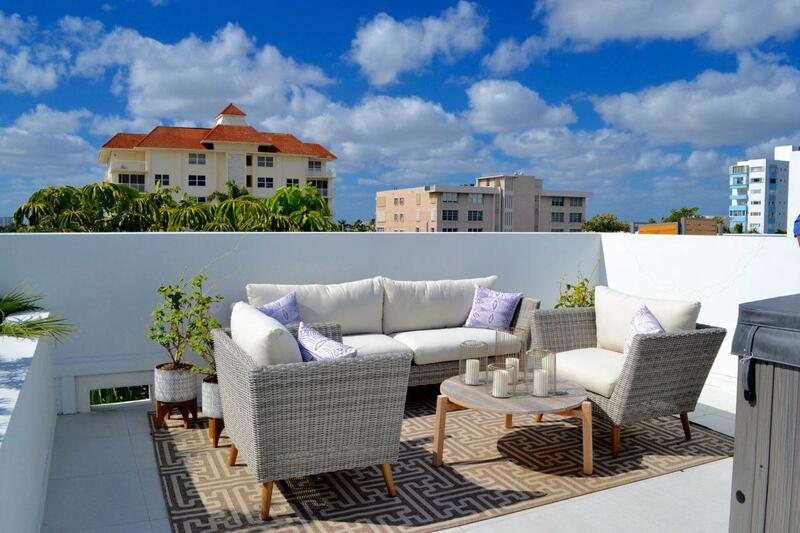 A private rooftop terrace at a 101 Bay Harbor townhome in Florida’s Bay Harbor Islands community. While 101 Bay Harbor townhomes have stairs, Palm Villas’ units, which are popular with Baby Boomers, have private elevators. 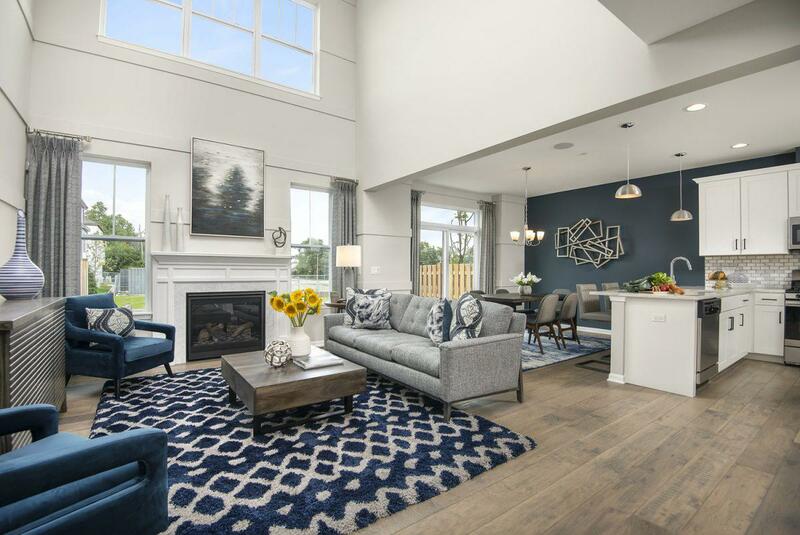 Jeff Benach, principal of Chicago-based Lexington Homes, is seeing an increase in families and move-down buyers looking for spacious townhome options at its communities, including Lexington Heritage in the Chicago suburb of Arlington Heights. The builder has created a collection of townhome designs that live like a single-family detached home due to wider layouts and semi-private backyards. The open-concept kitchen and great room in a Lexington Heritage townhome in Arlington Heights, Illinois, create a bright and airy atmosphere. Homes in Lexington Heritage’s Club Collection, which are two-story townhomes priced from $399,990 and measuring 1,649 to 1,950 square feet plus basement, have two to three bedrooms and attached two-car garages. The homes include high-end finishes such as hardwood floors, large windows and granite countertops. Megatel Homes, one of North Texas’ biggest builders, is opening the doors of its Wade Settlement community in Frisco, Texas. The city is home to The Star, the headquarters and practice facility for the NFL’s Dallas Cowboys. The mega-complex spans 91 acres and includes a stadium, restaurants, shops, offices and health facilities in a walkable setting. Sales consultant Rex Masterman says the first phase of Wade Settlement will include 150 townhomes ranging from 1,950 to 2,300 square feet and priced from $349,000. Drawing inspiration from upscale single-family detached homes, all two-and-a-half-story floor plans include a balcony, three bedrooms, three and a half bathrooms, granite countertops, tankless water heaters and a two-car garage. This article was written by Brenda Richardson from Forbes and was legally licensed through the NewsCred publisher network. Please direct all licensing questions to legal@newscred.com.